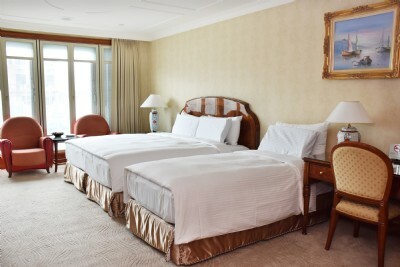 Located on Songjiang Road in the bustling Zhongshan District of Taipei City, Evergreen Laurel Hotel Taipei is a modern Taiwan hotel with luxurious decorations featuring maritime theme. Situated in the hub of Taipei financial district, the hotel provides an easy access to both business and shopping districts. It only takes a minute walk to the nearest bus stop- ChangAn Songjiang Intersection, a 5 minute walk to Exit 4 of MRT Songjiang Nanjing Station, a 7 minute bus ride to MRT Zhongxiao Xinsheng Station, and a 20 minute drive to the Taipei Main Station as well as the Taipei Bus Station. In addition, the Taipei Songshan International Airport is 5km away, the Taoyuan International Airport is 45km away, and the Taipei World Trade Center (TWTC) is only 6kms away. 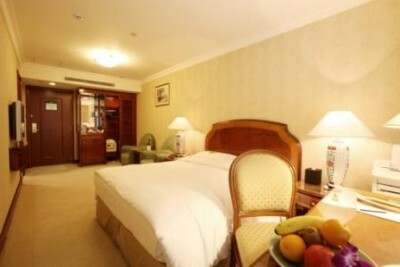 With handy transportation and nice location, this Taipei business hotel will provide you a relaxing and impressive stay. Service Charge & Taxes included..